Everyone at HSCo has one vision, one goal, and that's to express ourselves through art. Disc Golf is an art. The design work and products that are released are artwork in and of themselves; Utilitarian for the most part. Self-expression through the medium of Disc Golf has assisted in defining the world around me, and I want to share those experiences and feelings with you, the visitor. Visually, at first, but in the hopes that your initial draw towards the products transcends beyond into a deeper connection with all forms of art. Let's become friends while we're at it. We want you to physically experience the ideas, but beware, there are infinite layers to what we are up to. It's completely up to you on how far you want to dive into them. The only certainty is that we'll be wherever you are with open arms. I've been an artist for as long as I can remember. I found Disc Golf to have an instant appeal, coinciding with my need for competition. Soon after that, I found that below the surface of the sport, there was a stronger connection. Indescribable at first, but I found an urge to try and define it, going with the flow, in other words. I began to tap into that frequency. The year was 2008. Disc Golf brought my brother and I back together for the first time since childhood. That in and of itself showed me that going with the flow of things could make a positive impact on my life and those around me. I started designing things for my brother and close friends and with the help of the initial HSCo logo, we began to make friendships and connections wherever we were. The logo helped bridge those connections as it was a great conversation piece as curious minds want to know what the logo represented and what it meant. Answering and sometimes not answering those questions created connections with places and people that I would have never otherwise experienced. That is what Handeye is and it works the same for everyone. It's not strictly disc golf. It's not strictly a way for me to express myself. It's not strictly a brand. You can define what it is for yourself through your own experiences and expressions. All the hard work, all the late nights, all the time dedicated was still in question as I didn't know whether it would succeed or fail. I just went with the flow and took a certain amount of comfort in knowing that I wasn't alone in what I was feeling. 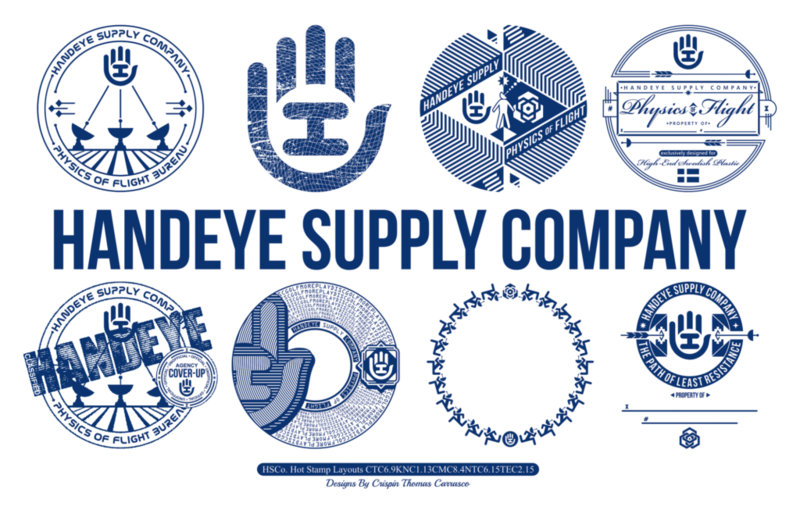 If you have ever seen the logo and felt instant curiosity, a connection, a certain vibe, that's what Handeye is to so many. If you're not feeling it, that's okay. If you are, come along for the ride. I promise it will be fun. I don't spend time or energy worrying/wondering if other people are down. If I'm feeling it...I'm feeling it...and if I'm feeling it, we're going to run with it and see what happens.